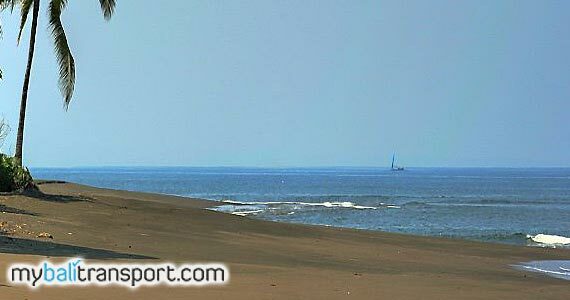 Black sandy beach with a panoramic view of the mountains from East Java in the distance. 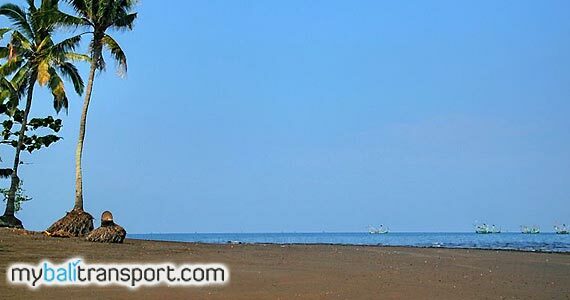 Baluk Rening is one of the beaches in Jembrana Bali visited by both local and foreign tourists. Located in the village of Baluk, Negara district, Jembrana Regency, Bali. Black sandy beach with the waves that are not so big. It is suitable for a visit during the morning and to see the sunset, with a backdrop of mountains in East Java. This tourist attraction is also very interesting with the cliffs by the beach which is not too high so that adds a very beautiful panorama in the south. The facilities both hotel and restaurant which has a standard class in types for tourists are available in Baluk Rening Beach, Negara, Jembrana - Bali. Location of this attraction is located approximately four kilometers south part of the main highway Denpasar - Gilimanuk. From the port of Gilimanuk towards to Denpasar approximately 30 minutes.